Making this reminded me of my early childhood days. 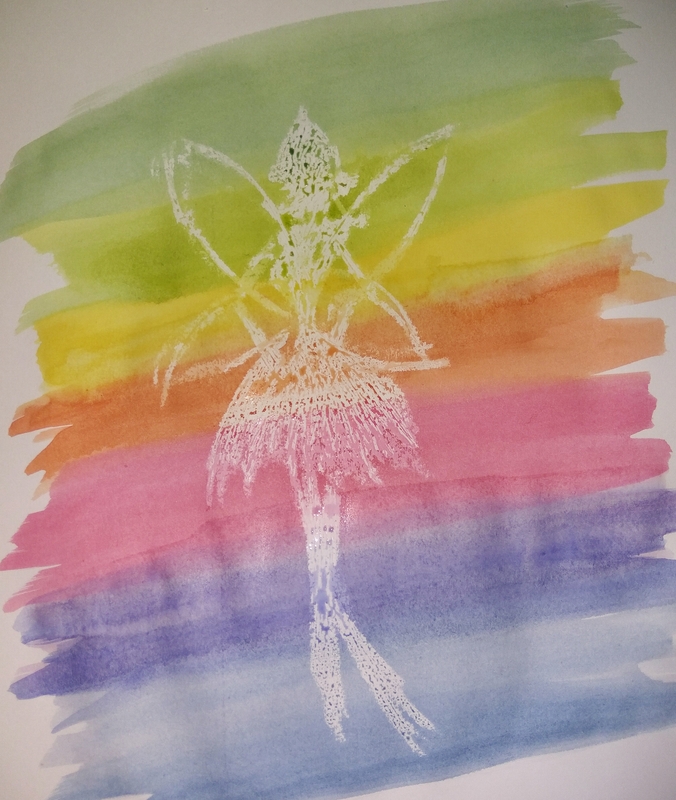 I used a wax candle in my sketchbook and managed to draw a recognisable fairy before doing a rainbow watercolour wash to reveal her. Love the fairy. Cool process.